Harmony Art Mom won't be posting the slide show until tomorrow. So head on over to her blog tomorrow to view all the children's art work. 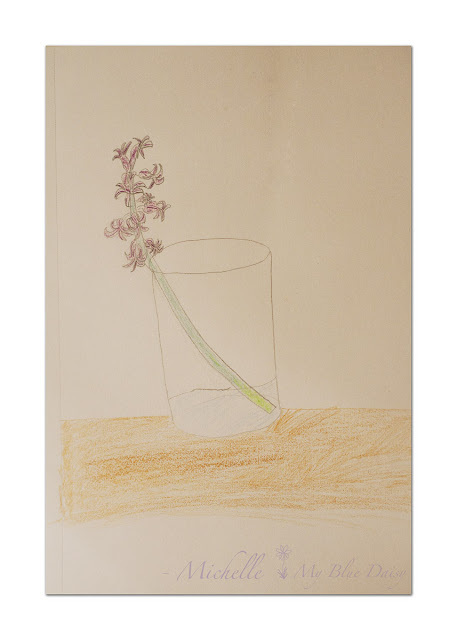 This week's inspiration was something Purple and below is my third grader's sketch. As the weeks go on, she is getting better at her sketching and shading. Seeind the other entries is giving her pause to consider her own artwork more. She putting more time and thought into her art now. Love it! Your daughter's artwork is beautiful!!! She did a good job on the cup, IMHO, but the detail on the curves of the flower petals is really, really amazing! I think it is beautiful Michelle, she is very talented. I can't wait to see what else she comes up with. Thank you Jennifer and Kari! She was so encouraged when I read your comments to her.